Critical response to Andrew Lloyd Webber’s “The Phantom of the Opera,” within the political and economic milieu of the Thatcher/Reagan era, is the subject of a scholarly article by a professor in Syracuse University’s College of Arts and Sciences. 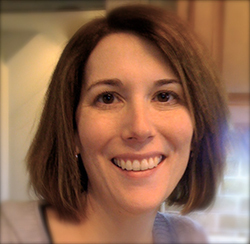 Amanda Eubanks Winkler, associate professor of music history and cultures in the Department of Art and Music Histories (AMH), is the author of “Politics and the Reception of Andrew Lloyd Webber’s ‘The Phantom of the Opera’” in the November issue of the Cambridge Opera Journal (Cambridge University Press, 2014). 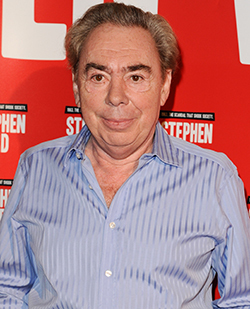 Much of the article focuses on Lloyd Webber’s most popular stage work, set against the sweeping economic conservatism of the mid-1980s. Winkler maintains that, for some, “Phantom” represented a new kind of populist opera that could survive and thrive without government subsidy; for others, it was a mockery of high art. “The show’s puerile operatics were considered to be sophomoric jibes against an art form that was held in esteem,” she says. “Phantom” opened in London’s West End in 1986 and on Broadway two years later—a time when critical hostility toward Lloyd Webber and mega-musicals had reached a fever pitch. European blockbusters such as “Cats,” “Starlight Express” and “Les Misérables” may have held sway with mainstream audiences, but some critics saw the genre’s runaway extravagance and crass consumerism as out of step with the unsettled economic times. Case in point: The U.S. premiere of “Phantom” came on the heels of the so-called Black Monday stock market crash, which caused a wave of global economic uncertainty. Still, Lloyd Webber’s material success and political conservatism (he was a vocal champion of Tory policy in the U.K.) seemed to matter little to populist audiences. In addition to English theater music, Winkler has published and lectured on an array of subjects, including the relationships among musical, bodily and spiritual disorder; musical depictions of the goddess Venus; the gendering of musical spirits; and the intersection of music and politics. Her first book, “O Let Us Howle Some Heavy Note” (Indiana University Press, 2006), analyzes the musical conventions associated with disorder on the early modern English stage and is cited by literary scholars and musicologists in equal measure. She has two forthcoming books that consider other facets of musical life in early modern England and has also edited two volumes of theater music. A former department chair, Winkler is involved with numerous academic and administrative committees at Syracuse, including the music history and musicology working group of the Central New York Humanities Corridor.